The understanding of such diseases as Alzheimer’s, cancer and diabetes has greatly advanced by thousands of online gamers in recent years due to an online flash game named Phylo. Created by Dr. Jerome Waldispuhl of the McGill Centre for BioInformatics along with collaborator Mathieu Blanchette, Phylo is a unique video game all in itself. 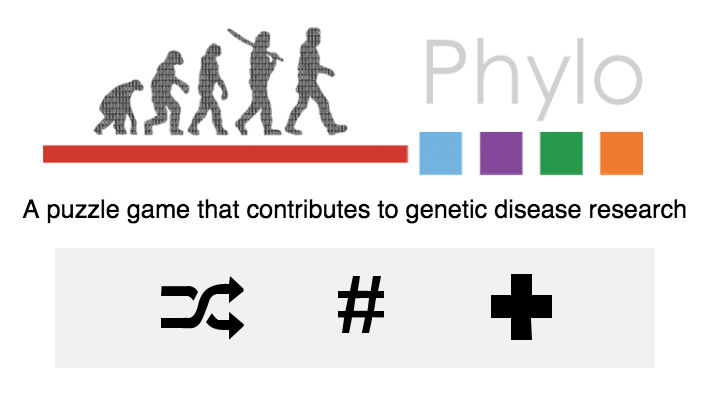 In the game, users solve multiple sequence alignments in comparative genomics while leveraging the skill of gamers to solve problems visually. … Humans have evolved to recognize patterns and solve visual problems efficiently. By abstracting multiple sequence alignment to manipulating patterns consisting of coloured shapes, we have adapted the problem to benefit from human capabilities. By taking data which has already been aligned by a heuristic algorithm, we allow the user to optimize where the algorithm may have failed. The results from the Phylo game were recently released. With over 18,000 registered users, the researchers have obtained over 300,000 solutions to sequence-related alignment problems. Click here to find out more about Phylo. Also, be sure and check out this tutorial.